Well, here’s a little secret for anyone who’s planning to watch the upcoming next movie in the Alien franchise. The scene pictured below is not on an alien planet – it’s Milford Sound. And there are two tawaki breeding colonies in the frame, Sinbad Gully and Harrison Cove. The latter one, of course, is our main Fiordland study site. Doing research is one thing, sharing the knowledge you’ve gained another. Far too often, scientific results are published in scientific journals that nobody reads or has access to. 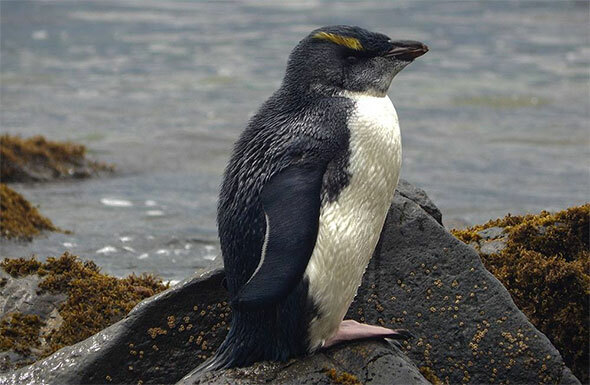 As much as we try to spread the word about the fantastic creatures that tawaki – and other NZ penguin species are – a lot of our time is used up with data analysis, writing reports and trying to secure funding for upcoming field seasons. But this time we were incredibly lucky to share our experiences with two professional story tellers. 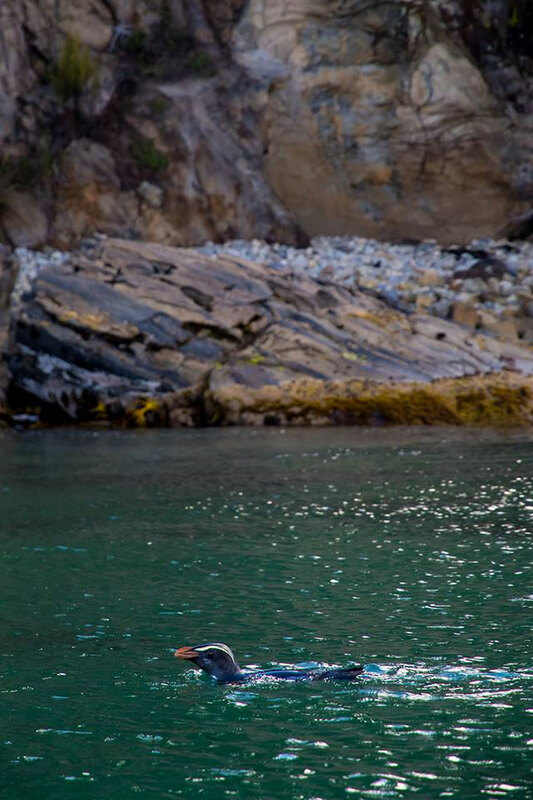 Richard Robinson‘s incredible photographs capture the beauty of our flippered friends and Bill Morris‘ fantastic account about penguins in New Zealand will no doubt help to raise much needed awareness for a seabird that in our country is taken for granted and, as a result, often underappreciated. Go and support their work! 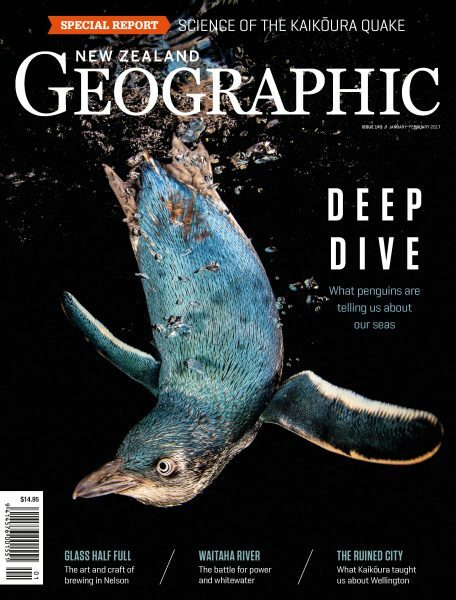 Buy the latest issue of New Zealand Geographic! 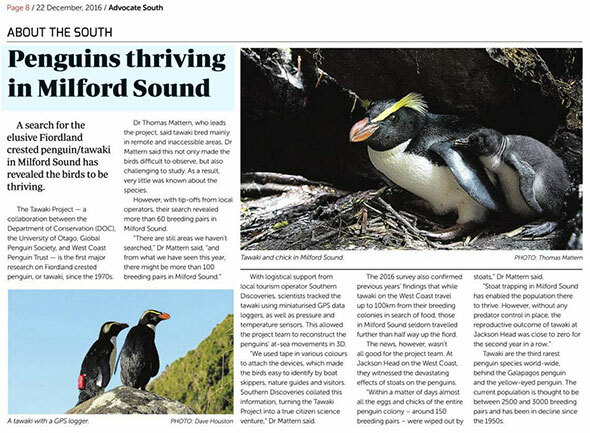 The Tawaki Project’s Fiordland season wrapped up in the current issue of the Advocate South (also known as Fiordland Advocate). So much for ‘once chicks fledge they will not touch try land again for almost a year’. 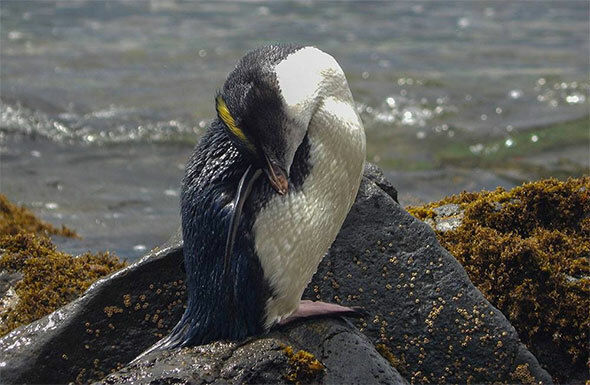 This tawaki chick from Rollers Beach, Stewart Island, obviously had different plans. 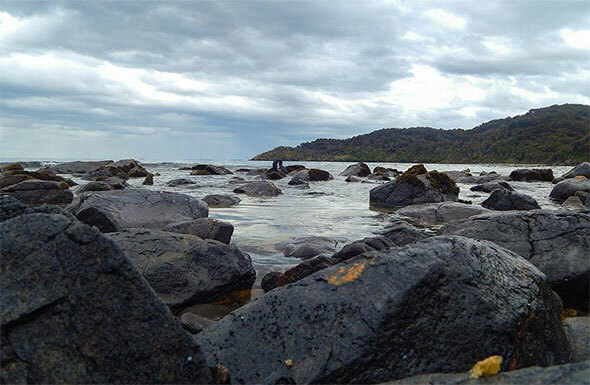 After its first splash in the big blue, it found itself a nice little rock not far from the cave it hatched in. It then spent the better half of a day perched there preening extensively and enjoying the life in fresh air (as opposed to the ammonia contaminated, dank gas not really qualified to be called ‘air’ inside said cave). Ultimately, however, high tide forced the young one to get wet again… and start the adventure of its first year at sea. Don’t be fooled by the grey beard; this fellow is only a couple of months old. 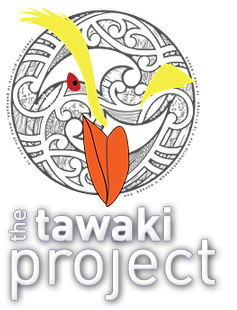 The 2016 tawaki breeding season is coming to a close. 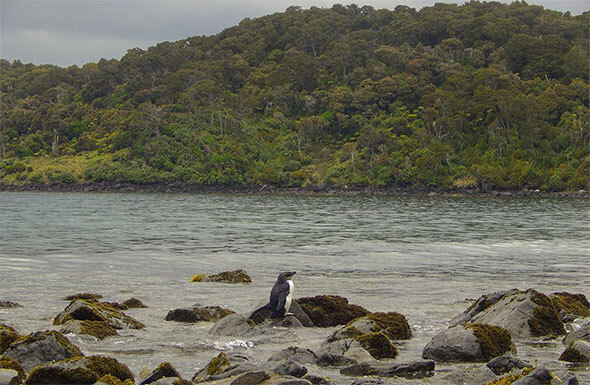 Along the north-east coast of Stewart Island, where tawaki tend to occupy every nook and cranny, few birds are still patrolling along the coastlines. Soon all of them will head off to fatten up for the annual moult in February. Where they go is still a mystery… but not for much longer. We’re on it.